The Metro Board voted Thursday morning to direct staff to continue planning on second- and third decade Measure R projects — the idea is have projects ready to be constructed if funds become available to accelerate them. Here is a recent post about this item, along with the staff report. 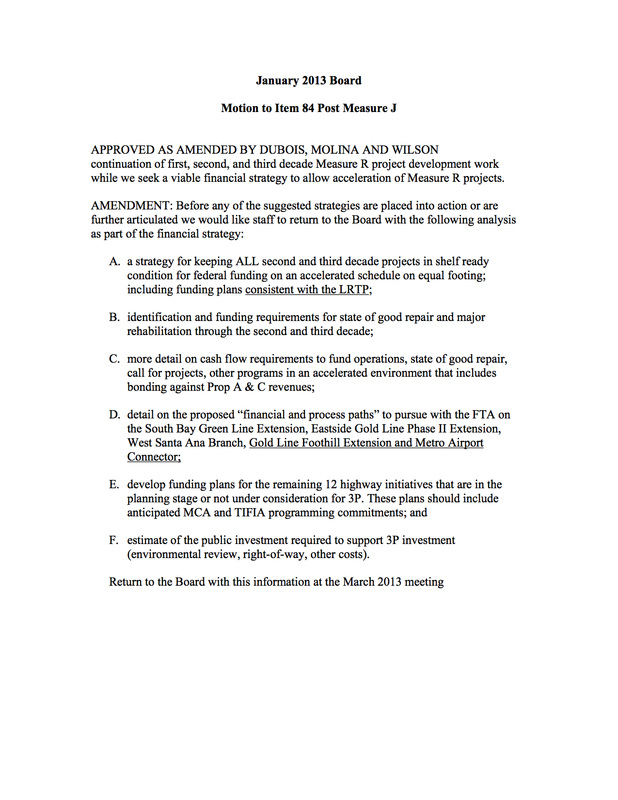 It is hard to imagine the board moving forward like this without having the ‘alternative’ funding already lined up, at least for the projects listed in item 4. Measure J would have taken care of it all, sigh… but this post makes me wonder what the board has up their sleeves in terms of project acceleration. I guess we’ll find out in March.